Have we completely missed the point of the modern western revolution in the arts? Hugh Moss thinks so, and here he presents a refreshingly original and thought-provoking new approach to understanding art. It not only makes sense of western art over the past century or more, but applies equally to the art of any culture at any time, all within one enlightening framework that, well ... works. This new perspective is impossible to ignore - a theory that places art right at the centre of the evolution of human consciousness, as a key driver of the process. Argued with intelligence, panache and wit, The Art of Understanding Art provides a delightfully entertaining read that will change the way you think about and look at art, whether you are a collector (or would like to be), a connoisseur, an academic, a student or of course an artist (or would like to be). It is illustrated with intriguing skill, depth and humour by Peter Suart. Buy The Art of Understanding Art by Hugh Moss from Australia's Online Independent Bookstore, Boomerang Books. Hugh Moss ran a gallery specialising in Asian art in London's West End before moving to Hong Kong in the 1970s. In the 1980s he represented some of China's leading artists, and took up painting himself, becoming an accomplished artist. An acknowledged expert in Chinese snuff bottles, scholarly works of art and modern paintings, he has worked closely with the world's leading auction houses for over fifty years. Peter Suart is a writer and illustrator, musician and theatrical performer. He is the author/illustrator of the Tik and Tok books, and has illustrated several Folio Society volumes. Her Loving Slave. 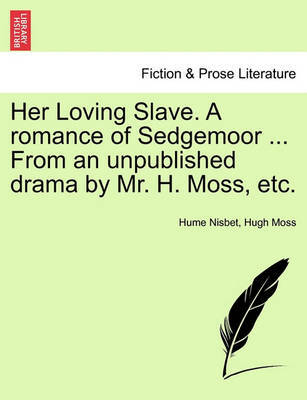 a Romance of Sedgemoor ... from an Unpublished Drama by Mr. H. Moss, Etc.